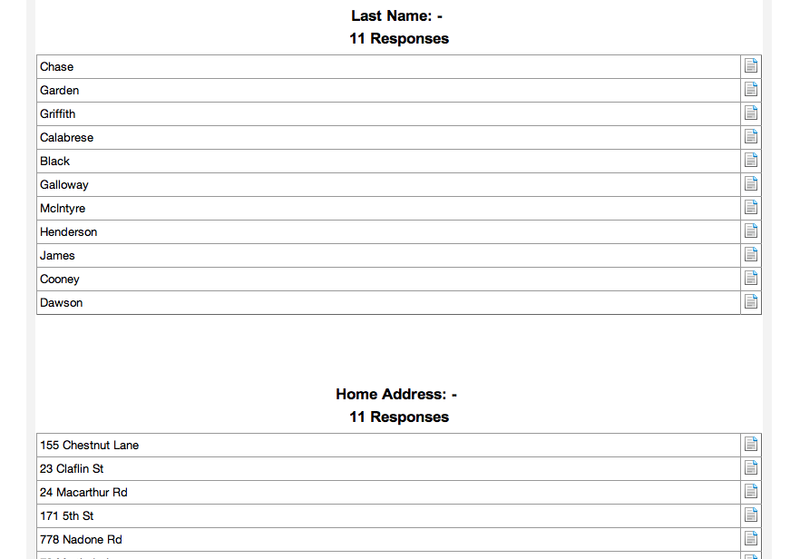 Notice that the comments can now be seen alongside the email and the name of the respondent. This certainly makes for an easier view for the administrator to quickly associate details with the respondent. Also, this cuts down the load time and the length of the web page dramatically. We can do this by taking the following steps (note: this assumes you have already built a survey, collected responses, and generated a report). 1. 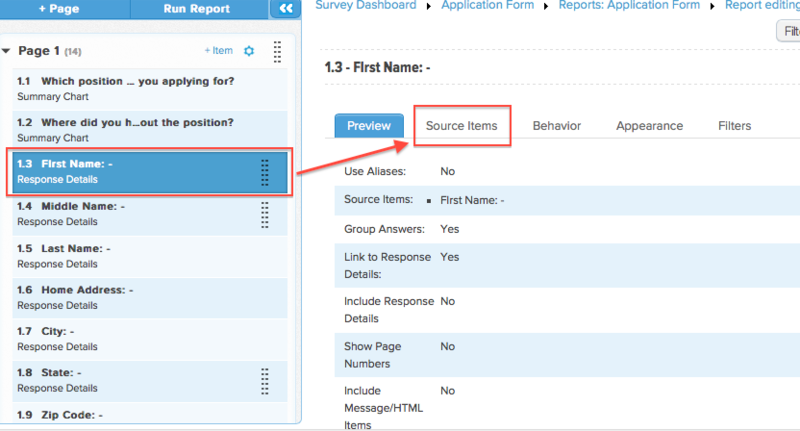 Click on the Report you wish to edit and to group the responses. 2. 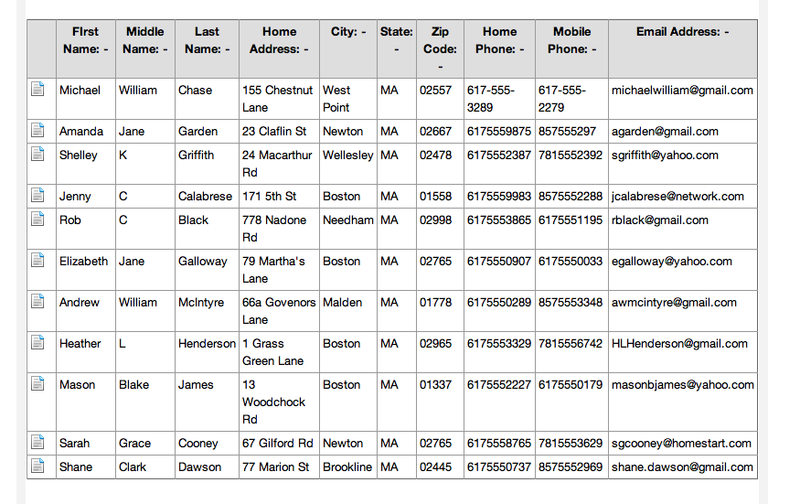 Select the first open-ended text item that you wish to have grouped. In this case, it would be ‘First Name’ and then select the ‘Source Items’ tab. 3. 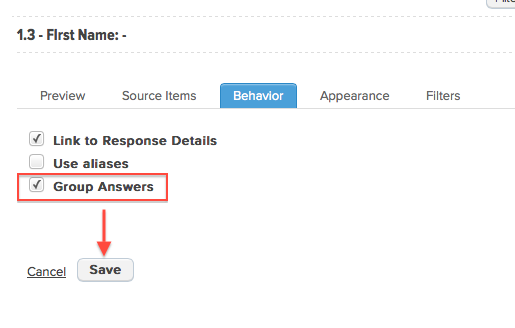 Select the other response items that you wish to group along with ‘First Name’ from the list of options in the ‘Available Items’ column. 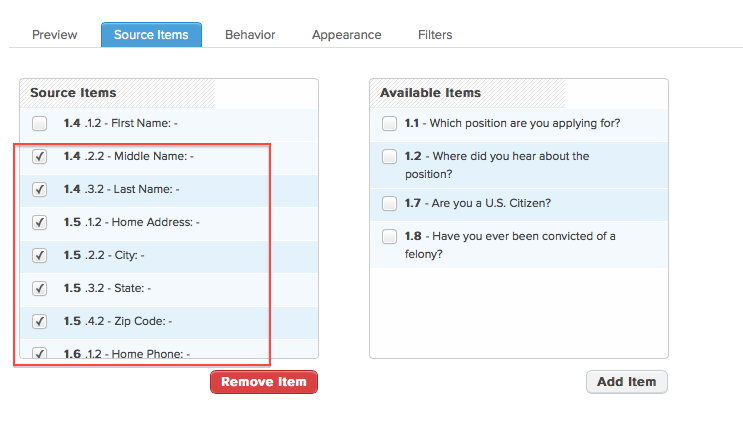 Once you have selected them all, select ‘Add Item’ and these options will be transferred to the ‘Source Items’ column. 4. 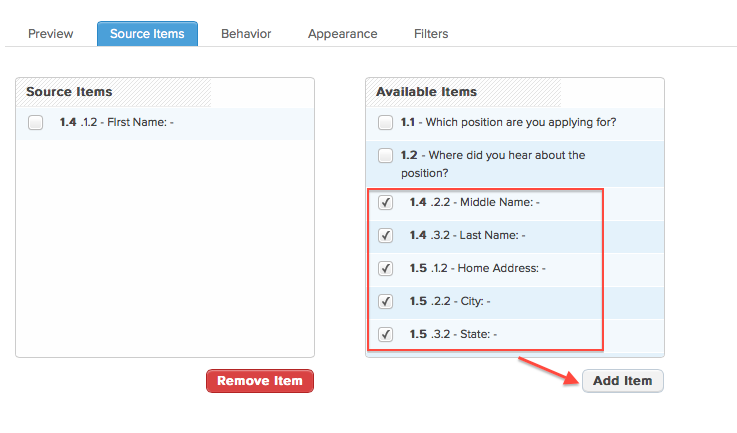 Select ‘Save’ and the ‘Preview’ tab will now display all items you have grouped. 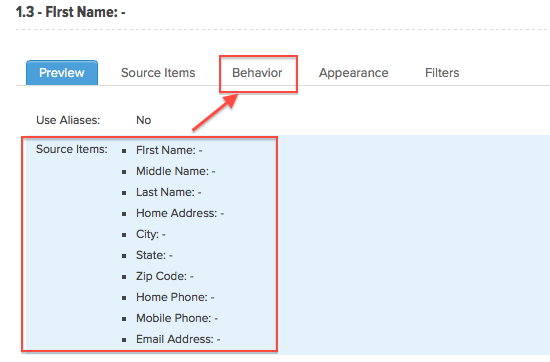 Now, go to the ‘Behavior’ tab and select ‘Group Answers’ and ‘Save’.